Hello everyone, and welcome to a brand new article series that we'd like to call "Fill(y)ing You In"! When we write our articles, we've tried to focus on the larger news and have not reported much on older yet more obscure information or on the smaller tidbits that we find. In this article series, each article will focus on some aspect of Filly or Filly Funtasia and dive deep into it, exploring what we know about this topic. They will contain quite a bit of information that the long-time Filly fan will already know and some they might not. This article series could hopefully also act as a replacement for our old and horribly outdated FAQ. For the first installment, we'd like to answer the question about who's making this thing. We've normally tried to focus on the franchise itself and not on the inner workings of the companies making it, but we've increasingly noticed that there's a number of misconceptions being spread about them. The most common being that Filly "is a German toy", which isn't completely accurate, despite what TvTropes says. There's also a persistent rumor that Filly actually started out as a G3 bootleg which had to be renamed due to a Hasbro lawsuit. There is no evidence for this either, as we're going to show in the article. But let's begin by going all the way back to the creation of Filly in 2006! Dracco began as a Danish company about two decades ago but was at some point moved to Hong Kong to be closer to the toy manufacturers. (The company still has a Danish branch: the Denmark-based Dracco Scandinavia A/S, which used to be called Xinox Danmark A/S) The cooperation between Dracco and Simba began in 2006, as discussed in an interview that used to be on Simba's website before the split between Simba and Dracco. (More on that later.) Luckily, the interview has been preserved by archive.org. Simba Dickie is a large German toy manufacturer that was formed in 1993 when Simba Toys and Dickie Toys merged. We'll refer to them as "Simba" in this article for the sake of brevity. Simba was involved in the production of all the main Filly toy lines from Filly Forest until Filly Witchy, in 2013. The Fillys were designed by Filly creator Tine Norbøll who worked at Dracco, as you can read about in our interview. The first major Filly toy line, Filly Forest, was released in 2007 and featured characters based on real horse breeds. There were two separate Filly toy sites back then, one run by Simba which featured a (historically inaccurate) story about the taming of the first horse in Mongolia, and one made by Dracco, which was a Flash site that was hard to reconstruct even before Dracco blocked archive.org in their robots.txt file. The Filly setting slowly morphing from a real world-scenario with characters based on horse breeds to a setting featuring a fantasy world filled with magical equines happened gradually and will be the subject of another article. On the 30th of May 2007, Hasbro sent Simba a Cease & Desist. When that Cease & Desist was seemingly not obeyed, it progressed to a legal case in the Netherlands, where Hasbro demanded that Simba cease production of "Little Fairy Pony", "My Sweet Pony", "Steffi Love Evi Unicorn" and "Steffi Love Evis Fantasy Pony". Notably, Filly is not mentioned at any point in the legal documents. Since we've been unable to find out when exactly during 2007 that Filly Forest was released, it's unclear if Filly toys were already on the market during this point, but all the sources are clear that development on Filly had started during 2006. Furthermore, the argument put forth by Hasbro in these suits is that the G3 ponies were similar to "Little Fairy Pony" in terms of size, shape, color, similar facial expressions, a similar logo, the use of a raised foreleg, and the colored brushable hair. The Filly Forest horses aren't really similar to the G3 ponies in any of these respects, which can be seen in the image below. (And the later Filly toylines aren't really similar in these respects either.) 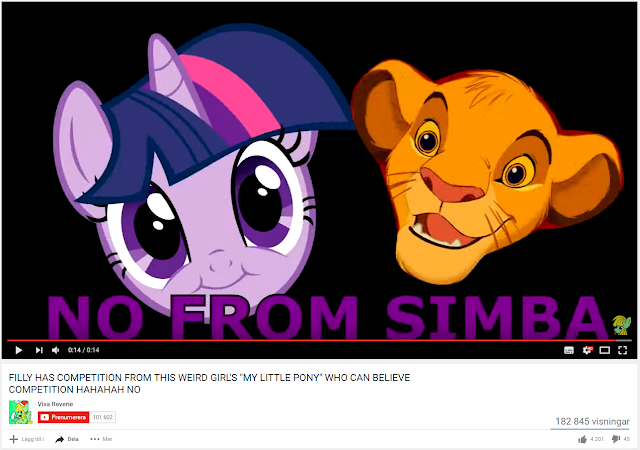 Based on this, and the fact that Filly Forest was either far in development or already released when the initial cease and desist was sent, as well as the fact that Simba continued to create new versions of Little Fairy Pony afterwards, the story that's been resurfacing every once in a while about Filly being a new version of a toyline that used pirate G3 molds is just not plausible. In 2013, Simba broke the licensing agreement with Dracco. In conjunction with that, two lawsuits were filed by Dracco against them. One of the suits, between Dracco Netherlands B.V. and Simba Toys GmbH, was decided in the Hong Kong High Court in March 2014. It concerned the breach of their licensing agreement that was signed in 2011. While the result was somewhat inconclusive, the defendant (Simba) was treated as the successful party for the purpose of court costs. As a small sidenote, Simba signed a new licensing agreement last year... with none other than Hasbro. Yes, they'll now be making Transformers toys for the company that's sued them a couple times. The loss of Simba impacted their toy distribution networks in some regions. Filly is still selling very well in Germany, and they've expanded in Eastern Europe with toy distributor ELC acting as a licensing agent in Russia and apparently being very successful in doing so. However, licensee networks have not been rebuilt in all countries. My country (Sweden), is still suffering from a Filly drought that's been going on since 2013, unfortunately. There are many more Filly licensees, so we'll only mention another notable one: Blue Ocean Entertainment AG, a German publishing company which since 2009 has published the excellent Filly Magazines. Too bad their online shop only allows shipping to Germany, Austria and Switzerland. Yes, I know it's all in German, but I still want to buy it from Sweden! Come on, guys. Let's move on to the companies involved in Filly Funtasia itself. The very first Filly Funtasia trailer features logotypes of five companies: Dracco, BRB Internacional, Screen21, Black Dragon Entertainment Ltd., and a small HFDL logo. Since we've already discussed Dracco, let's briefly discuss HFDL, or Home Focus Development Limited. That's the old name for a Dracco company that owned various trademarks for Dracco products. It's now seemingly been renamed Dracco Brands, a name which appears on newer trademark applications as well as on the promotional documents we've posted recently. BRB Internacional is a Spanish company based in Madrid and dedicated to the creation, distribution and licensing of cartoons. It's behind classic 80's cartoon hits like Dogtanian, Willy Fog, and the ever memeable David the Gnome. Recently, they've worked on a number of cartoons featuring 3D animation, so Filly Funtasia is right in their wheelhouse. Screen21 is BRB Internacional's animation studio, which is based in Barcelona. Black Dragon Entertainment Ltd. (赤龙世漫) is a Chinese animation studio that has done some of the work on Filly Funtasia - as far as we know, mostly work related to 3D modeling and animation. We've previously conducted a brief technical interview with a person who used to be lead modeler there. 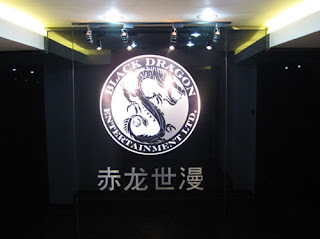 As part of the research conducted when we found a Black Dragon-created promo, we also found out about a possible parent company called "Red Dragon World Culture Communication Co" (赤龙世漫文化传播有限公司于), but details are very scant about that company. Lastly, there is also the elusive Apolo Films, which was involved in the creation of the Filly Stars and Filly Butterfly specials but has now seemingly disavowed their involvement. Apolo Films is seemingly only involved in the creation of cinematic full-length film versions of various BRB cartoons. The two Filly specials were listed on their website before the recent removal. And that's pretty much it, except for a disclaimer. Since we've talked a lot about companies, lawsuits, corporate structures, and whatnot, there is a distinct possibility that we've gotten something wrong about a sensitive issue. If you are the representative of a company mentioned above, and you feel that we have misrepresented you, please send an email to [email protected] and we will strive to make a correction. Thank you.